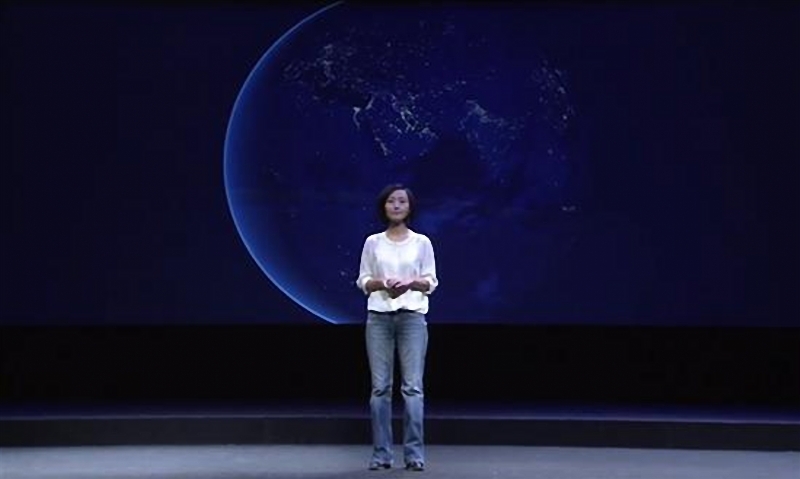 The "personal complaint" from a mother against Chinese haze issues accounted for the famous environmental documentary in the name of China Haze: Under the Dome. Serious air pollution in China became very personal for former State TV Reporter Chai Jing, when she became pregnant with her daughter. Worrying about health of her daughter, the former environmental issue investigative reporter invistigated the causes behind serious air pollution in China. The documentary has gone very hot online and has received more than millions of views on major online video websites. The video might be forgotten by the masses within a week, but the hazards of smog will not simply varnish. Environmental friendly LED lights just might offer a solution to thick haze in China. Lighting energy consumption is estimated to be around 17% to 20%, according to some professional calculations. Based on China total energy consumption of 5.52 trillion kilowatt per hour (KWh) in 2014, the country lighting energy consumption would be about 1.1 trillion KWh. Following the spread of highly energy efficient LED lights in the Chinese market, lighting energy consumption could be halved, and cut down 300 million metric tons of coal consumption. Based on the statistics of Ms. Chai, China coal consumption reached 3.6 billion metric tons in 2013. With limited market penetration of LED lights on the Chinese market, the technology still holds huge potential in solving smog issue in China. Why are LED lights not as widespread on the market if it has huge energy saving advantages? Similar to the steel industry oversupply issue explored in the smog documentary, China has been the global lighting manufacturing powerhouse. More than 90% of incandescent bulbs, CFLs and other light sources are manufactured in the country. Traditional incandescent bulbs are not energy efficient, while energy saving CFLs can cause mercury pollution. Yet, these two light sources have created millions of jobs, and solved local Chinese government tax income, and job employment issues. Optimistically, Chinese National Development and Reform Commission has prohibited 60W and above wattage incandescent bulbs, which has been effective since Oct. 1, 2014. Although, the policy was issued later than developed countries, it is better than never. Effective management is still needed for Compact Fluorescent Lamps (CFL) that are potential environmental hazards. These lamps continue to benefit from central government fiscal subsidies. When the huge number of CFL tubes which contain mercury reach the end of their lifetimes, they usually are thrown away as rubbish. Most people know something of the environmental damage old CFL tubes can cause. If treated inappropriately, it can become an environmental pollutant and became a major "health killer." The environmental costs of CFLs and potential environmental impact it causes far goes beyond its energy saving effects. In 2012, China produced 4.28 billion CFL bulbs, of those manufactured 1.53 billion was for domestic consumption, according to China Association of Lighting Industry statistics. Assuming every CFL contains 3 ml of mercury, the country 1.5 billion CFL bulbs could discharge as much as 4.5 metric tons of mercury, and become a huge environmental risk if inappropriate waste management treatment was made. Looking back in history, a mysterious neurological disease emerged in Minamata Bay, Japan in 1953. Local residents began to display syndromes of nerve damage, paralysis, muscle weakness, but the cause of the illness remained unknown for some time. The number of those affected eventually surpassed 7,000, before the disease was coined "Minamata Disease". Finally the cause of the disease was linked to the release of methylmercury in the industrial wastewater from the Chisso Corporation chemical factory. The local population had unknowingly been eating mercury contaminated fish, shellfish and other marine life. Despite more than six decades have passed since the mass mercury poisoning incident in Japan, China still has not stressed on mercury contamination. The lighting industry is a much more market-orientated industry than the petroleum industry. So, it is important to strengthen market monitoring, and prevent poor quality products from entering the market. However, smart consumers are also very important in changing the rules of competition and eliminating bad quality manufacturers and products. If average consumers compared products and knew energy efficacy, lifetimes, lighting quality and other lighting indicators, good quality manufacturers could succeed as victors. Consumers smarter purchase choices could help to stop manufacturers destroying the market with poor quality products out of the industry. The Chinese LED lights market would also finally be able to avoid becoming a low quality product market, overflowing with me too products under the umbrella of energy efficacy. Government policies are not the only issue in encouring the spread of LED lights. More importantly, as seen from example of Ms. Chai is personal action. The spread of LED lights on the market will also rely on civilian action that vote in favor of good quality products.